WANGANUI CITY - Kia ora, welcome to Wanganui, best known as the River City. A treasury of arts and culture. Great for artists, craftspeople and designers. Excellent for conferences, sporting events and relaxation. Less than two hours from the ski fields, a 50 minute flight from Auckland with Air Chathams, Wanganui offers a different pace. 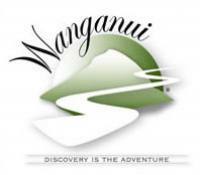 Alone or with family, with lots of time or just a little, enjoy being in Wanganui where ‘Discovery is the Adventure”. Take time out in Wanganui, experience nature, creativity and warm friendly hospitality. Once the commercial hub of the district and ‘highway’ into the hinterland of the Central Plateau, it was a major visitor attraction in the late 1800’s and early 1900’s, known internationally as the ‘Riviera of the South Pacific’. Wanganui remains a significant tourism experience, an adventure playground for hunters, fisherman and trampers accessing pristine wilderness experiences on its middle and upper reaches. "E rere kau mai te awanui, mai te kahui maunga ki Tangaroa, Ko au te awa, ko te awa ko au"
“The great river flows from the mountains to the sea, I am the river, the river is me." This whakatauki (proverb) defines the Iwi (Maori people) of the Whanganui River and region. From the sacred mountains of the Central Plateau, the Whanganui River begins its journey of nearly 200 kilometres when it eventually released into the Tasman Sea, off the western coastline of Wanganui along its length the people of Te Atihaunui a Paparangi (Whanganui Iwi) have descended for over 40 generations.